Four Seasonal Treats We Need to Try! Seasonal flavors and locally-harvested fruits and vegetables are the stars of the show in Laney & Lu’s fall menu this year. 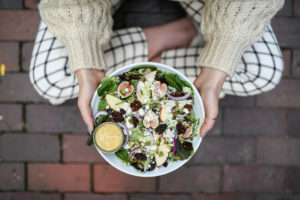 By artfully combining whole ingredients that are always sourced during their peak freshness, Laney & Lu is on a mission to create healthier, more joyful lives that nourish our bodies and feed our souls through community and food. 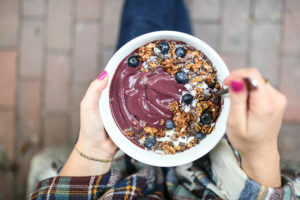 Pumpkin Açaí Smoothie Bowl – Roasted pumpkin, acai, banana, non-sweetened almond milk, blended, over gluten free granola, topped with blueberry, glazed walnuts, coconut flake, cacao nibs. 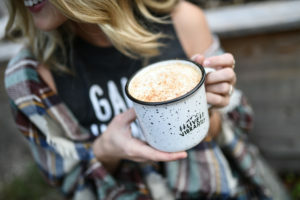 Turmeric Pumpkin Smoothie – Roasted pumpkin, turmeric powder, our own pumpkin spice blend, banana, unsweetened almond milk. The Fall Harvest Salad – Mixed greens, brussels sprout, fig, apple, red onion, local blue cheese, pepitas, maple pecans, apple cider vinaigrette. 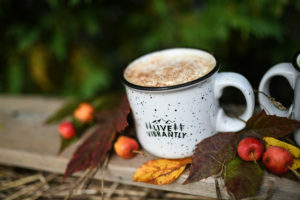 Pumpkin Latte – Roasted pumpkin puree, our own pumpkin spice blend, espresso, steamed unsweetened almond milk. The most wonderful part is that the pumpkin flavor comes from real roasted whole pumpkin and kabocha squash – no artificial anything! Have you tried any of the menu items mentioned above? What are some of your Laney & Lu favorites? ?